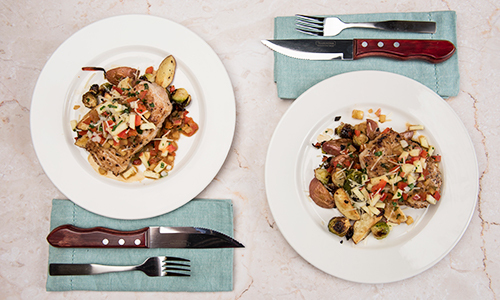 Make your time in the kitchen more enjoyable and your time at the dinner table memorable with our chef-crafted meal kits. Each meal kit serves two and most take less than 40 minutes from start to finish. Enjoy great recipes like Pan-Seared Pork with Apples and Pecorino Brussels Sprouts, Smoky Steak with Spinach and Creamy Gorgonzola Rigatoni and many more. 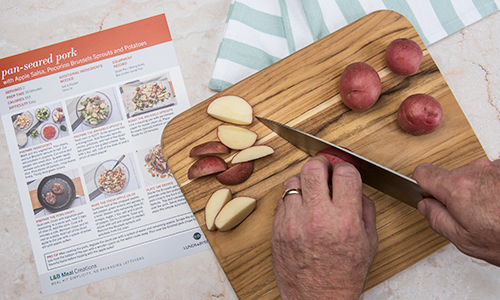 Pick up meals when you’re ready to make them, with no hard-to-cancel subscriptions! Need help with a recipe? Just call our FoodE Experts at 952-548-1400. Meal kits are also available throughout the Twin Cities for delivery! No grocery list needed! Boxes are assembled fresh in our store. We use premium products like our all-natural premium pork, L&B spices, fresh herbs and more. 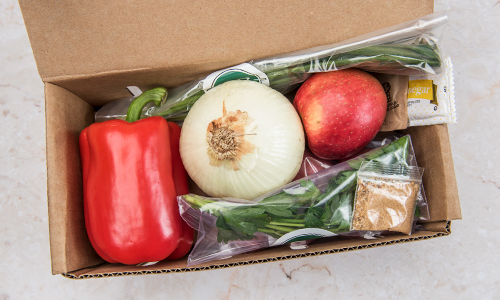 And there is significantly less packaging waste compared to many meal kit services. 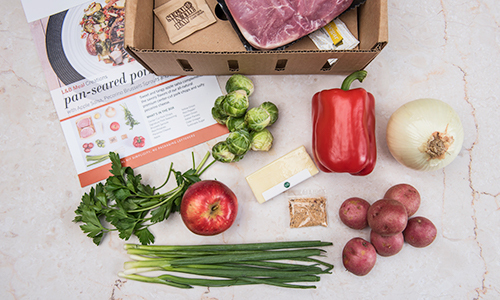 Our meal kits come with easy-to-follow instructions, and most are prepared in under 40 minutes from start to finish. You can have dinner on the table for less time than it takes to grocery shop. Whether you’re short on time or looking for new recipe ideas, L&B Meal Creations will let you enjoy preparing a home-cooked meal with fewer steps and delicious results.